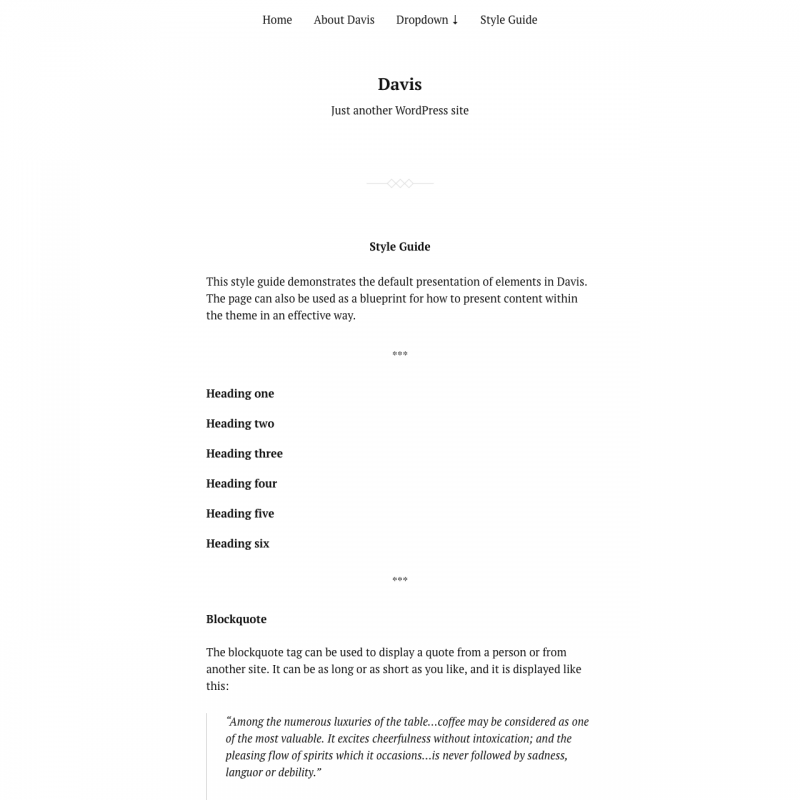 Davis theme translations are maintained by the WordPress community. 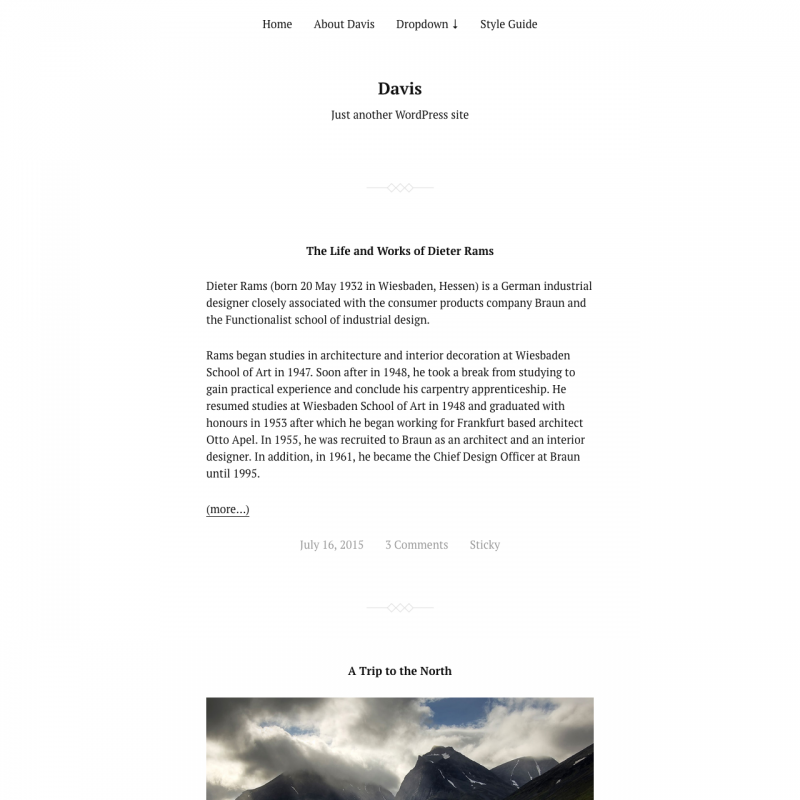 Davis is a very minimal WordPress theme. 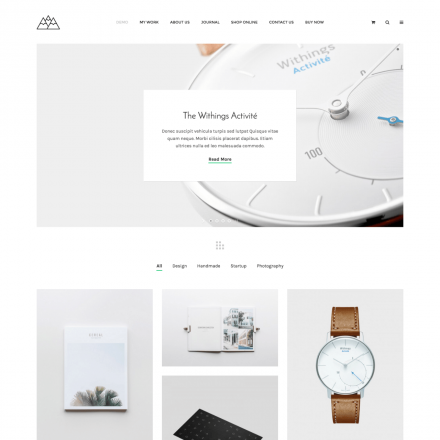 You can use it to further develop your design or simply as a very lightweight blog theme. Contains only three PHP files. 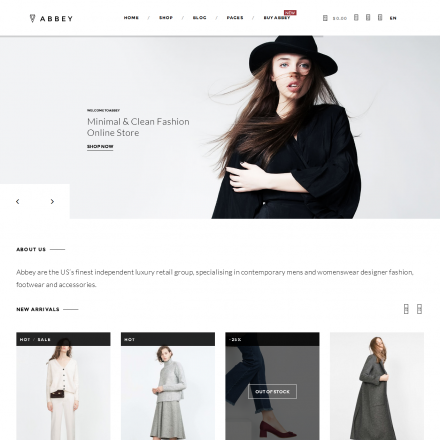 Supports Gutenberg editor and Aside post format. Dark color scheme is available.